If you are a frequent reader of this blog, then you know we have over the last 4-5 months reported on 2011 looking like it will be a great year for the vacation rental industry. If you haven’t been a frequent reader of the blog, and this happens to be your first visit here, then we suggest you spend some time looking at some of the other articles we have posted, in addition to reading this one. 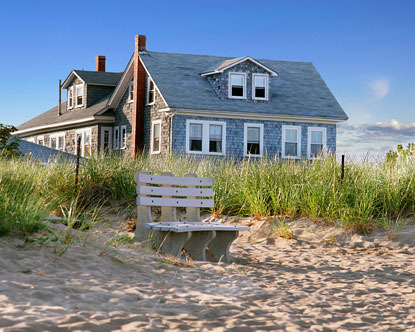 If you are looking for a summer rental, then you better get a move on. Rental properties all over the country are filling up, and they are filling up fast, with bookings in some areas up 20% or more compared with last year. A combination of factors is contributing to the increase in bookings for the summer vacation period: The number of rentals has stabilized as new construction slowed down during the down economy; rising gas prices means more people are looking for a vacation closer to home; and an improving economy means travelers are more willing to spend money again on a getaway. All of this means that renters will less likely be able to negotiate their rates. However, there are still opportunities for the ones that move quickly; while bookings are up, rates have generally held steady, which means you do not have to pay over-price for your rental, at least not yet. What does your summer months look like, have you seen an increase in demand for your rental properties? We would like to know what your situation looks like. If you haven’t seen any increase, please don’t hesitate to contact Barefoot, and maybe we can help you elevate your business.